Small electronic chips approved by the FDA for implanting beneath human skin have been linked to cancer in laboratory animals, according to a research review conducted by the Associated Press. 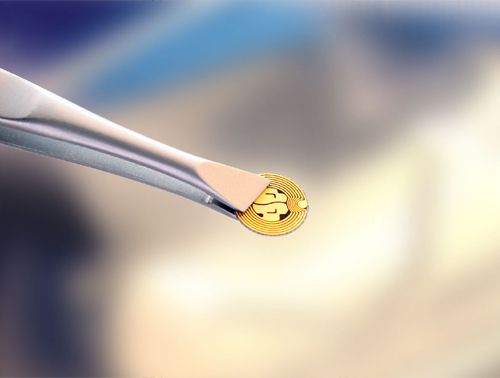 The radio frequency identification (RFID) chips are made by VeriChip Corp. They are designed to carry a serial number, which can be read when scanned by anyone with an RFID sensor. Medical workers can then use that number to access a patient’s medical history from a web site maintained by the corporation, provided they have paid the annual access fee. The chips, which are approximately twice the size of a grain of rice, were approved by the FDA for human implantation in 2005. But the Associated Press has revealed that as early as 1996, researchers had uncovered a link between the devices and cancer. Rodents implanted with the chips were found to develop malignant tumors beneath the skin, usually surrounding the devices. The rates were high enough — as high as 10 percent of animals implanted, in a 1998 study — to raise warning bells with the researchers, who reported their concern in peer-reviewed journals. None of the studies were looking for carcinogenic effects from the RFID tags, but in each case the researchers ruled out other possible causes. Although there was no non-implanted control group in many of the studies, the evidence is strong enough to convince many researchers that more research is needed before any more human implantation takes place. “There’s no way in the world, having read this information, that I would have one of those chips implanted in my skin, or in one of my family members,” said Dr. Robert Benezra, head of the Cancer Biology Genetics Program at the Memorial Sloan-Kettering Cancer Center in New York. “This research review clearly shows cause of concern over the mass microchipping of our population for medical purposes.” Intelligent, reasonable people will naturally reject such chip implants, which is exactly why the company is targeting individuals suffering from cognitive decline, such as Alzheimer’s patients. 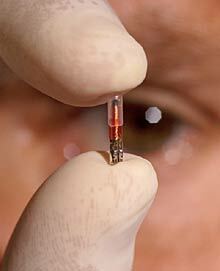 So far, 2,000 people have been implanted with VeriChip’s RFID chips. The company has identified is target market in the United States as 45 million people, starting with Alzheimer’s and diabetes patients.